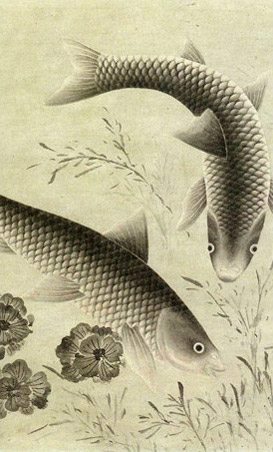 Chinese painting is one of the oldest, continuous artistic traditions in the world. Their traditional style involves the same techniques as calligraphy with a brush dipped in black or coloured ink, without the use of oils. In early Imperial times (Jin Dynasty 265 – 400), calligraphy and painting were the most highly appreciated arts in court circles and were produced almost exclusively by amateurs, often aristocrats and scholars, who had the leisure time to perfect their techniques. During the Jin Dynasty, critics began to write about art and individual artists started to emerge. In the subsequent Tang Dynasty, figure painting flourished at the royal courts and reached the height of elegant realism, comprising outlining in fine black ink lines with freely painted brushstrokes of colour and elaborate detail. Many paintings were landscapes, often monochromatic and sparse, the purpose was not to reproduce exactly the appearance of nature but rather to grasp an emotion or atmosphere so as to catch the ‘rhythm’ of nature. Landscapes of more subtle expression appeared in the Song and Yuan Dynasties (960-1368), with distance conveyed through the use of blurred outlines, mountain contours disappearing into the mist and emphasis placed on the spiritual qualities of the painting. Painters then joined the arts of poetry and calligraphy, the three arts worked together to express the artist’s feeling more completely than one could do alone. Beginning in the 13th Century, more narrative painting developed with a wider colour range and busier compositions. 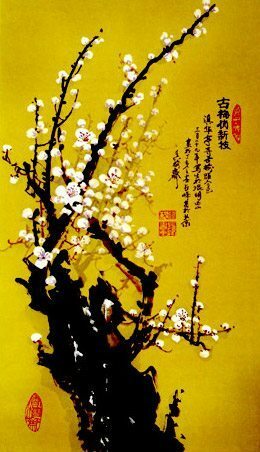 During the early Qing Dynasty (16-44-1911), painters known as individualists rebelled against many of the traditional rules of painting and found ways to express themselves more directly through free brushwork. In the 1700’s and 1800’s, great commercial cities such as Yangzhou and Shanghai became art centres where wealthy patrons encouraged artists to produce bold new works. In the late 1800s and 1900s, Chinese painters were increasingly exposed to Western art. 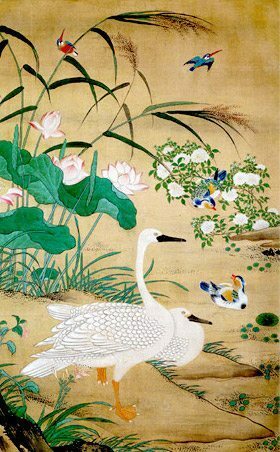 Some that studied in Europe rejected Chinese painting whilst others tried to combine the best of both traditions. Qi Baishi was one of the most renowned painters of this time, beginning life as a peasant and becoming a great master. His best known works depict flowers and animals.